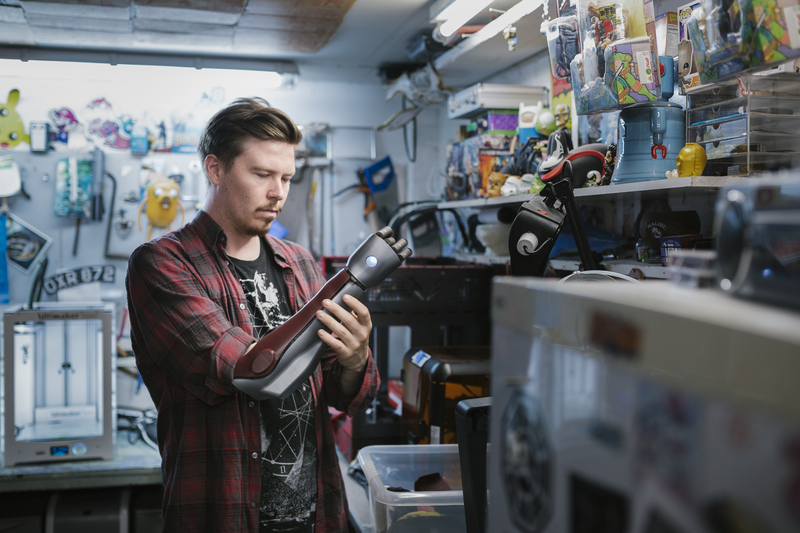 Dan Melville grew up with a prosthetic arm that did not improve his life, however thanks to UK company Open Bionics now boasts a 3D printed bionic arm based on a video game character. Melville, 27, was born without a right hand with his childhood marred by having to wear a prosthetic hand that did nothing to improve his life or confidence. An avid video game player, Melville was persuaded by his girlfriend Harriet to get in touch with Open Bionics, a fledgling UK company developing low-cost bionic hands who were looking for testers. 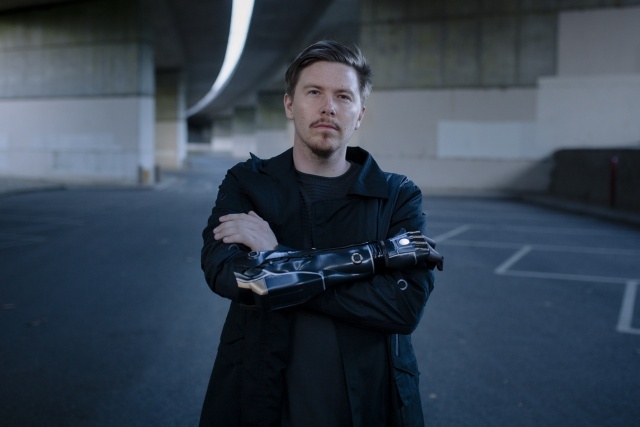 After meeting with founder Joel Gibbard, Melville soon became the first person ever to use a 3D printed bionic arm made from a video game character – Adam Jensen, the mechanically augmented protagonist of the game Deus Ex. He was the first character Melville felt he could relate to. The bionic arm is simple and effective, it uses the pulses from when Melville tenses the muscles in his arm to open and close his hand. He can pick things up with his finger and thumb, something he could never do before. 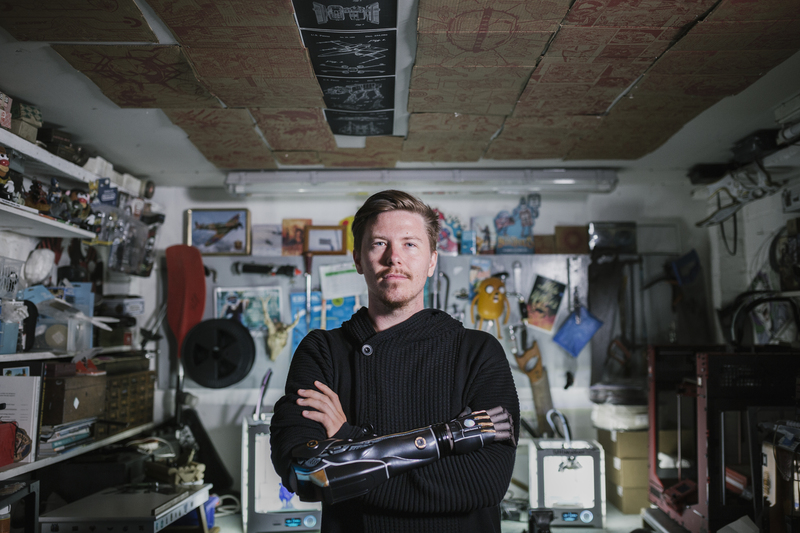 The Guinness World Record holder’s life changed for the better with his bionic arm allowing him to quit his job and start his own 3D printing business along with giving workshops to spread his inspirational message. Here is an exclusive Q&A with Melville near his home in Reading. Can you explain how much more confidence your bionic arm has given you? Growing up I had prosthetic arms that didn’t do anything. You wore them because you thought that was the normal thing to do. I only ever got them to get time off school because I hated school, but I hated the arm too. It was a catch-22. I felt more disabled wearing it and for many years I stopped wearing them. 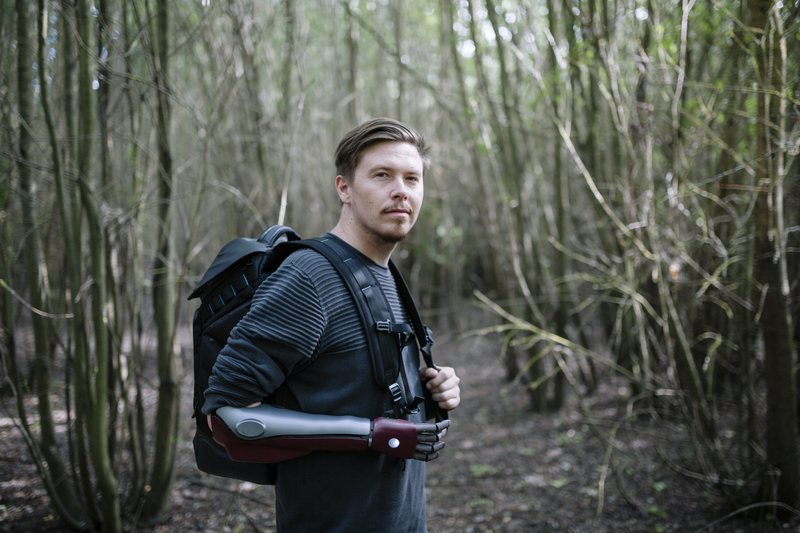 I grew up with sci-fi films, though, so I wanted a bionic arm like the Terminator or Robocop. There were bionic arms out there, but we are talking £50,000 and I didn’t want to put my Mum and Dad through that with an arm that I might grow out of. Years later, I stumbled across Open Bionics and, from day one, what fascinated me was that I could open and close my hand and pick things up like a piece of chalk whereas, when I was growing up, I couldn’t do any of that. The last few years we have worked on changing the grip and making it stronger. I use pulses in my arm at the top and bottom of the muscles to open and close it. When I tense my muscles, it changes the grip pattern to certain modes. The arm can take up to 8kg of weight, which is insane for a 3D printed bionic arm. In the future, I hope for individual finger movement too so I can go to a heavy metal concert and do the horns! What does this innovation represent for other people going forward? You are just as good as someone with two hands, if not cooler and better. Growing up, when I had the prosthetic arms made I had to have a casting with plaster of Paris. They would let it set, you would get it cut off and then they would use the measurements. By the time I got that arm, I would already be too big for it. Open Bionics use a 3D scanner, so the whole process has gone down from a day to a couple of hours and kids can get a bionic arm delivered in a few days now which is great for kids. Making it lower cost, easier for fitting and less troublesome for everyone makes it such a positive experience for people plus the arms are really cool to look at. I know Open Bionics are working with Disney using properties such as Marvel, Star Wars and Frozen. They will have Disney inspired arms for kids and that is a massive leap forward. I am a big kid so I was like, ‘I want a Spiderman or Venom arm!’ For a kid to have a superhero power of their own is really cool. Channel 4’s “We’re The Superhumans” TV campaign for the 2012 London Paralympics was a massive, awesome statement for everyone. People didn’t take disability seriously before then, but it has broken down boundaries. A lot of people who I have made friends with in the past few years are being signed up for campaigns. My friend Tilly Lockey, who lost both her arms to meningitis, was recently on an O2 ad with her bionic arms and I have a couple more friends who did a River Island campaign. It is becoming more normal. People like Samuka (Red Bull BC One breakdancer with one leg) have shown that there are no boundaries anymore. You can do what the hell you want whether you have a disability or not. You have just got to stop saying no. Will esports players with disabilities be able to compete at the highest level? 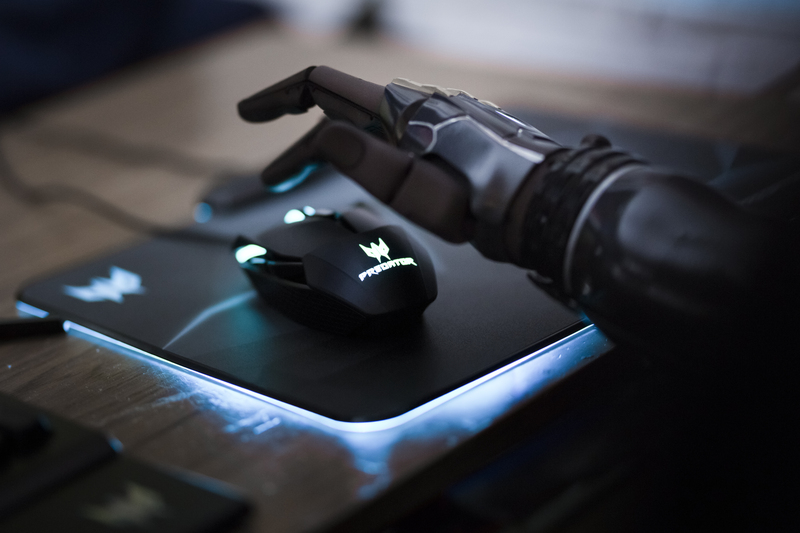 When I use my computer to play video games, I use my bionic arm because I can use the mouse to click on it and use my left hand to use the keyboard. I can’t really use a controller because the thumb isn’t as mobile as an actual thumb, so it is easier to use a PC than a console. It will still take disabled esport players a couple of years to compete against able-bodied players. If you are passionate about something, you always find a way of doing it which is why I am always playing video games. This day and age we are living in, there are so many more immersive games with so many different things that can potentially happen. Technology is fascinating to people. I started to love designing my own stuff after I hooked up with Open Bionics and did it as a fun side hobby alongside my full-time job. One day I thought, ‘I don’t want to do this job anymore’. I quit and moved back in my with family to start my own business. I bought a new printer and in the last year I have somehow collected seven printers. I am backed by The Prince’s Trust too. I have a mentor who helps me with my finances and teaching me how to network with business. I sell my designs but one person also said to me, ‘Have you thought about holding a workshop for kids and families?’ If the kids do a doodle, I can do a 3D print for them so they have something memorable that they can take home. What I would like to do as a small business is branch out more and do more talks and workshops along with making new stuff. Funnily enough when I was at school we were asked, ‘What do you want to be doing in 10-years-time?’ I kid you not I said, ‘I want to start my own small shop that helps people make knick-knacks, arms and stuff’. It was mad that I said this all those years ago and it is now what I am doing.